Please note that for the foreseeable future we are unable to take any more orders for door cards. Sorry .Hopefully we will be making them later this year . 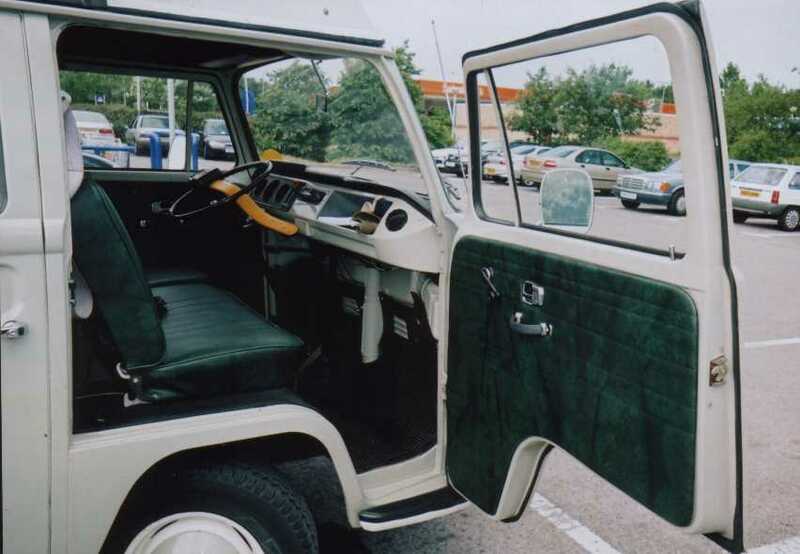 All our door cards are made from moisture resistance boarding, not M.D.F. 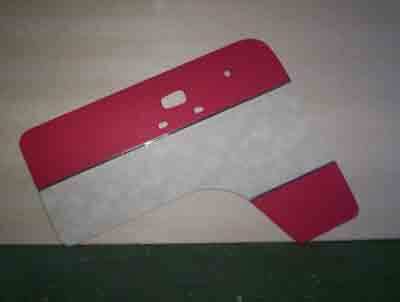 We hand cut every one of our door cards , nothing is machine cut or stamped out. 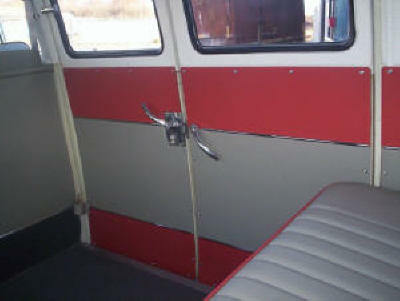 For bays & type 25's the front and sliding panels can have contour lines. Price from £155* front pair (fluted sew lines), full set from £490* 2 colour bay front pair from £145, full set from £450*. Front kickers to match are £55 . We can make a full deluxe 2 colour panel set for split's with highly polish stainless steel deluxe trim by Wolfsburg west. The long off side is made as one full panel (not in 2). Price's from £750* excluding bulkhead panels & centre drink panel. Which we can supply please call for prices. Original spec coloured vinyl's are available. Please ring for prices. Please note that a full set of deluxe door cards are only available for collection or workshop fitting only, we can not post due to them being fragile. 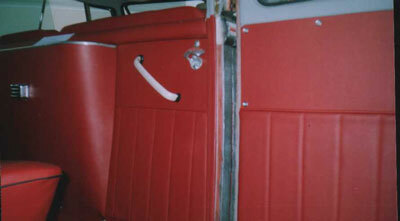 A pair front deluxe door cards £155 & £55* pair front kickers to match. As Wolfsburg West only supply deluxe trim in full van sets if you only want front cards then the deluxe trim with be polished alloy which we source from another supply . Prices from £150* for front pair fluted and or piped or £550* full set. If you choose to have your panels made to your own design, remember these are very labour intensive So price do vary. Please call for prices. 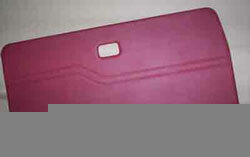 Please contact us to discuses your requirements.